Before moving to Idaho in my teens, I had some common misconceptions that there was nothing there besides potatoes. Turns out - like the majority of America - I was wrong. The Gem State is full of beauty, boasting diverse terrains and it's filled with some of the kindest pie-baking and salsa-making people you'll ever meet. Now being on the East Coast, I often miss big sky country, dry, hot summers, the nostalgia of the drive-in movie theater, baking pies from freshly picked fruit, and the dear souls that are my friends. There really isn't a place like it and I never thought this Tampa Bay girl could love another state so much. This Pacific North West state contains the best spots from the Treasure Valley to Moscow. Whether you're looking for snowcapped mountains and waterfalls, endless miles of plain desert, or heading up North to lake Coeur d'Alene's shore and thick forest line, Idaho has it. Not to mention the culture in Boise is giving Portland a run for its money. 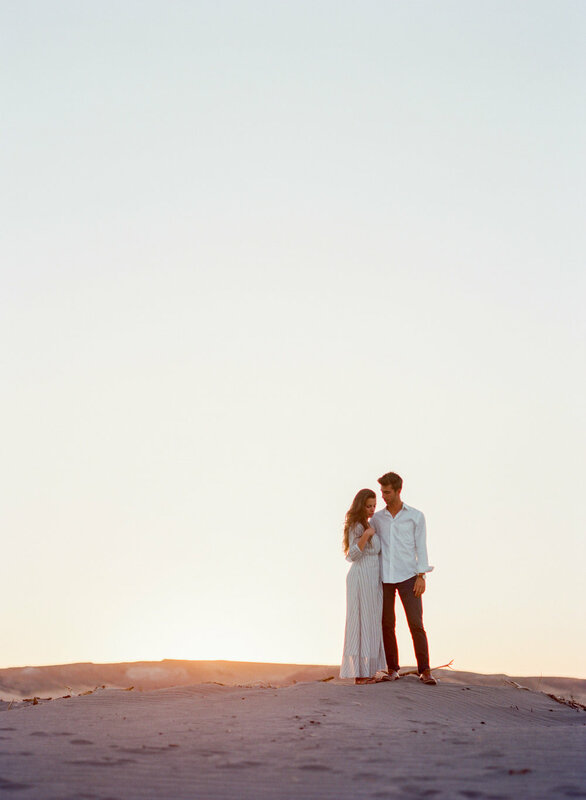 So during a quick trip to Idaho this Summer for a wedding, I knew I wanted to do a shoot in the Bruneau Sand Dunes with Marcus & Janessa because their love and friendship is so comfortable. Also, sand dunes. I'm incredibly grateful that they indulged my vision and let me capture some amazing moments. The results are absolutely stunning and this will forever be one of my favorites.